Most musicians bristle at the idea of having their music labeled into a particular genre. But Shana Tucker is no ordinary musician. In fact her music doesn’t lend itself to easy description, so she decided to help those new to her work: she came up with her own label: chamber soul. Tucker is a classically trained cellist. “I love chamber music,” she says. She cherishes the musical conversation that happens between the musicians. “The melody is now with me, and then I transfer it you you, and somebody else is saying something underneath it all.” She notes that chamber music is designed for intimate spaces, but that doesn’t mean it has to be played in a small room. But Tucker doesn’t play classical music. For Tucker, it’s all less about the genres, and more about expressing an idea: “This is music that I like, this is music that I write, and this is the sum of my parts. And it manifests as chamber soul.” Tucker’s facility on multiple instruments is key to her musical versatility as well; in addition to cello, she’s proficient on piano and guitar. “And I play a mean shaker,” she laughs. Her onstage setup also includes a melodica (“because I wanted to explore some chordal components with it,” she explains) and one piece of modern gear, a loop station. The loop station is a device that allows Tucker to play a phrase on a selected instrument, and then have that phrase played back or “looped” while she adds additional elements on another instrument or vocal. Tucker’s wide instrumental facility gives her a songwriting advantage, as she has a deep understanding of the capabilities and limitations of each instrument. “One of the reasons why I picked up guitar late, late, late in life is because my piano chords started sounding the same,” she says. She gained inspiration when she read of Joni Mitchell’s development of alternate guitar chords, done to address the Canadian singer-songwriter’s limitations as a polio survivor. 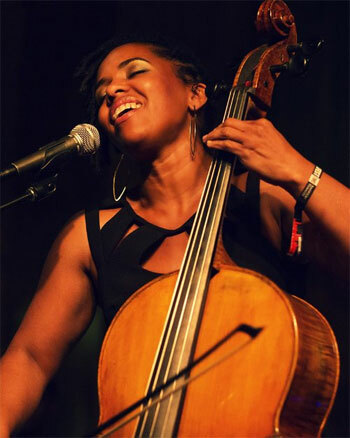 Jazz also informs Shana Tucker’s music; she studied jazz as a student at Howard University. 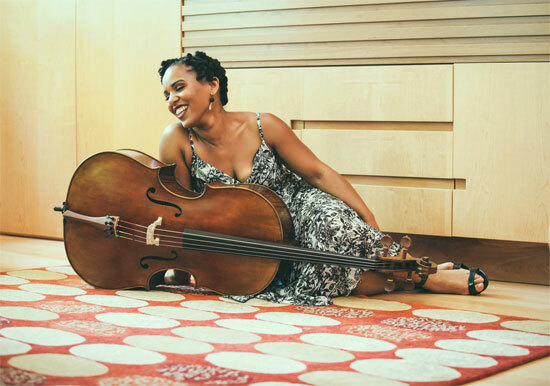 Her classical background left her unprepared for discovering the innovations of artists like John Coltrane, Sun Ra and Herbie Hancock. But she fell in love with jazz.